Hopefully by now one or two of you reading our blog series are thinking: “I can do this!” For you here’s a simple four-step program to evaluate the best opportunities and get you started. The zones with the most favorable conditions for small scale developers are low rise (LR) and neighborhood commercial (NC) zones. Density and height limits will vary based on the number suffix of the particular zone. When located in an urban village or station overlay area these zones do not require off-street parking. Check if your property is in an environmentally critical area. If it is, it’s not a deal breaker, but permitting and review could take longer. Thinking of adding a cottage? If you are interested in adding a cottage to your single family home, you will need a minimum lot size of 4,000 square feet – and a back yard. The maximum allowable floor area for a cottage (including any parking or storage areas) is currently 800 square feet. An apartment added to your house (in planner speak: an attached accessory dwelling unit) can be up to 1000 square feet. As of today, the City will likely require an additional off-street parking space. But keep an eye out for major changes to the accessory dwelling unit rules this year. If you think you may be interested in a property, invest $1,000 or so to get a basic boundary survey. See if it shows a steep slope or critical area that could be problematic. Also check for building or fence encroachments. A little money invested now can avoid a major headache later. If you are adapting a building for reuse you might be able to benefit from the City of Seattle’s substantial alterations exceptions. These allow existing buildings leeway with strict building code compliance. Getting a loan for an adaptive reuse or adding new to an existing project can be tricky because banks typically have less experience with these types of developments. Smaller, local banks that offer more personal service are often more willing to work with you to pencil it out. Alternative funding mechanisms such as personal equity, private investment, and aggregated local investment are also good tools at your disposal. Aggregated local investment can be a powerful way for a group of individuals with related goals to join their funds. The NorthEast Investment Cooperative (NEIC) in Minneapolis, MN is a great success story. They formed an LLC with a large group of investors interested in improving a local main street. Minimum investment was only $1,000.00. The NEIC has successfully purchased and rehabilitated several properties and now earns rental income that provides sustainable income to its investors. Opportunity is a terrible thing to waste. Small developers CAN help Seattle grow more organically and sustainably by providing a product that big developers can’t afford to build. 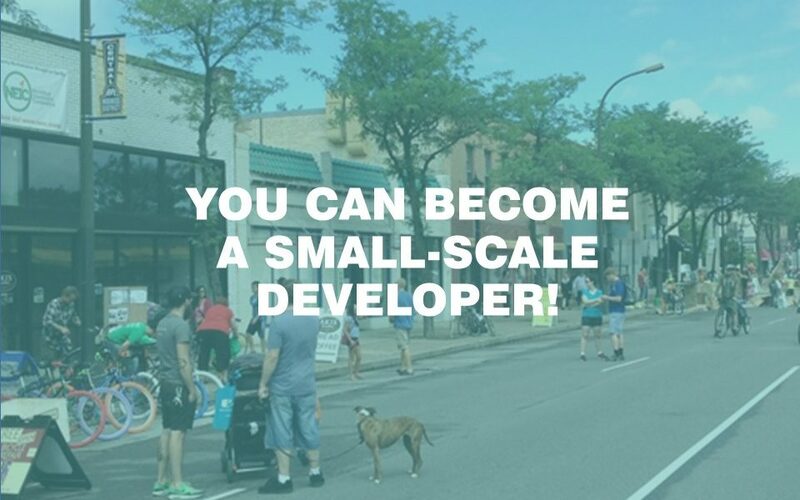 Allied8 believes that small developers hold the key to better outcomes for everyone. We will be your staunch ally and strongest advocate. How can we help? To further get your creative juices flowing, check out Allied8’s Process pages where we detail the typical steps of design, permitting, and construction, and provide links to our favorite contractors!